What does being a Strengths-based coach mean to you? How do you lead with the Strengths philosophy in your coaching? How does a Strengths-based approach differ from more conventional approaches? Join us as we explore the Strength philosophy and how to weave it in to every coaching session to ensure lasting impact. Cathy DeWeese has been with Gallup for over 28 years. As a Senior Workplace Consultant, Cathy is an expert in Gallup’s strengths-based development science and coaching practice. ... Más informaciones She serves as master coach for both Gallup clients and Gallup coaches. She provides highly individualized coaching sessions that help clients maximize their potential by using their talents to achieve measurable business outcomes. As a coach, Cathy serves as a trusted adviser to managers and leaders, maintaining strong relationships with them through honest dialogue, acceptance of the whole person, thought-provoking questions, and a healthy dose of humor. She provides support and guidance for clients as they make decisions regarding team building, succession planning, talent and executive development, career growth, challenges and opportunities. She is passionate about coaching and the development of others. 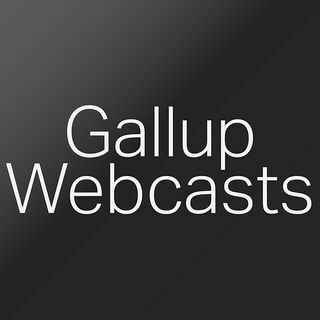 Called to Coach is a Gallup Strengths Center live webcast (via YouTube) that allows current and prospective coaches to interact with strengths coaches who have found success in strengths-based development.